If you've had enough of matching your scarf to your jumper، or accessorising every outfit with a pair of thermal tights، then never fear - help is on its way، bbc reported. Thanks to the way the fashion industry works، with designers showing collections months before they hit the shops، we already know what you'll be wearing come spring 2019. 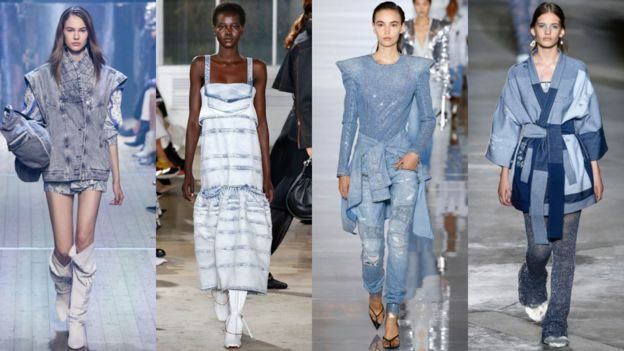 At the recent London، Paris and New York Fashion Weeks، the biggest looks were baby blue، clashing prints، the pink tuxedo، tie dye and bleach denim. You can get ahead of the fashion curve now by looking out for pieces that fit these forward-looking trends. 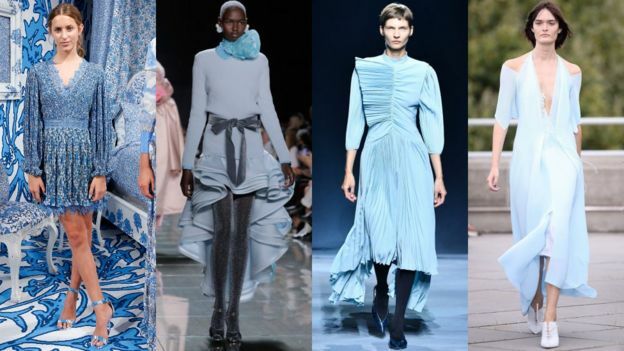 Last spring's pastel of choice was lavender، but this time around its a flattering baby blue shade. Alice + Olivia came out on top with their New York Fashion Week show، mixing baby blue and white in cloud and china prints. Elsewhere، Givenchy teamed the trend with another spring 2019 fashion staple - ruched fabrics. And whilst the colour was mostly spotted on dresses on the runway، fashion houses weren't afraid to experiment with floaty blouses and skirts. 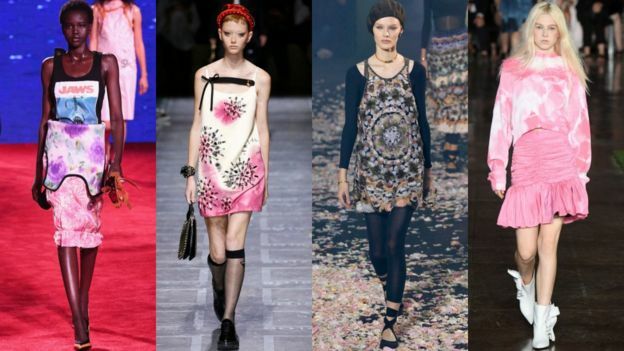 As seen on the runways of: Alice + Olivia، Marc Jacobs، Ph5، Givenchy، Alexa Chung، Roland Mouret، Rejina Pyo. We can forgive you for approaching this trend with a little caution، as clashing prints aren't for everyone. Dolce & Gabbana and Versace's looks would probably raise a few eyebrows down the shops، due to their bold colours and out-there accessories. But Diane von Furstenberg and Self-Portrait show how to work the trend in everyday life، with more subtle colour combinations. As seen on the runways of: Dolce & Gabbana، Balenciaga، Versace، Roberto Cavalli، Preen by Thornton Bregazzi، Paco Rabanne، Louis Vuitton، Michael Kors، Carolina Herrera، Self-Portrait and Diane von Furstenberg. 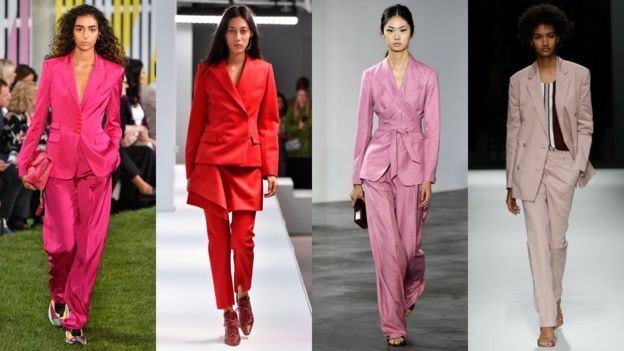 It looks like the evening dress has a new rival for spring 2019 - the pink tuxedo. Sies Marjan slightly bucks the trend with its bright red offering، but this super tailored look was extremely popular on the catwalks. It's also one of the season's most wearable outfits، with Gabriela Hearst and Boss's flattering suits standing out with their delicate blush tones. As seen on the runways of: Escada، Sies Marjan، Gabriela Hearst، Emporio Armani، Gucci، Balenciaga، Roksanda، Peter Pilotto and Boss. Tie dye was a summer staple in 2018، popping up on the feeds of our favourite Instagram influencers and in loads of high street stores. MSGM provided one of the best tie dye looks، pairing a dreamy pink sweater with a matching ruched skirt. 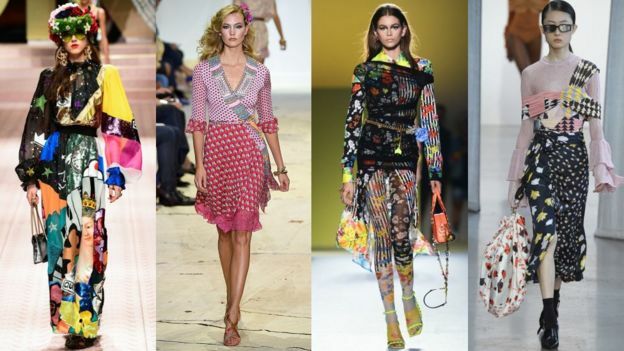 Calvin Klein mixed and matched their hippy prints، whilst Christian Dior went for the kaleidoscopic approach. As seen on the runways of: Calvin Klein، No. 21، Prada، MSGM، Prabal Gurung، R13، Christian Dior and Stella McCartney. Denim never goes out of fashion، it simply gets reinvented every season and this time around it's no different. Whilst last year was all about dark denim، you might want to dig out some bleach as this year it's going lighter. Proenza Schouler's catwalk display was the lightest of the bunch، whist Missoni experimented with different shades of denim together. Balmain's was the best look of it all، embellishing their designs with rips and sequins for an edgier finish. As seen on the runways of: Isabel Marant، Proenza Schouler، Alberta Ferretti، Balmain، Christian Dior، Missoni، Off-White، Alexander Wang، Balenciaga and Lemaire.